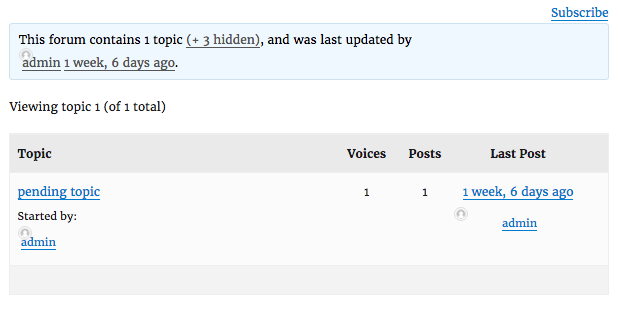 If a forum contains only trashed topics the +4 Hidden "view=all" link is not included in the forum description template notice. 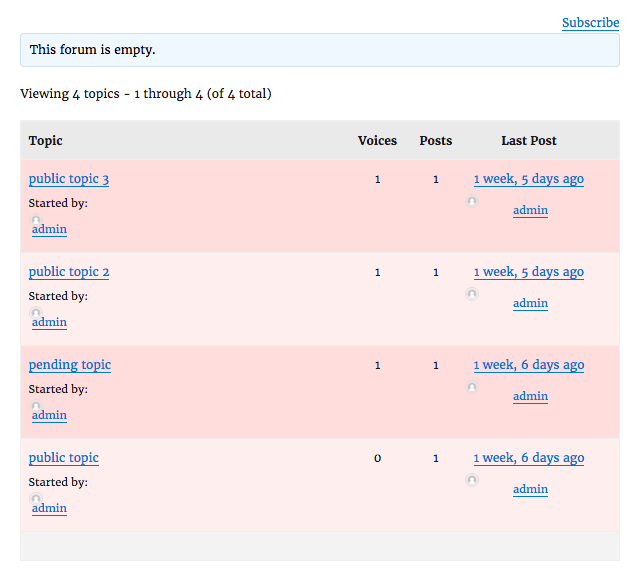 This issue only occurs when all topics in a forum are trashed. Below is a single forum with 4 trashed topics. If 1 of the 4 topics is published, spam, or unapproved the correct +3 Hidden link to the &view=all single forum view works as expected.